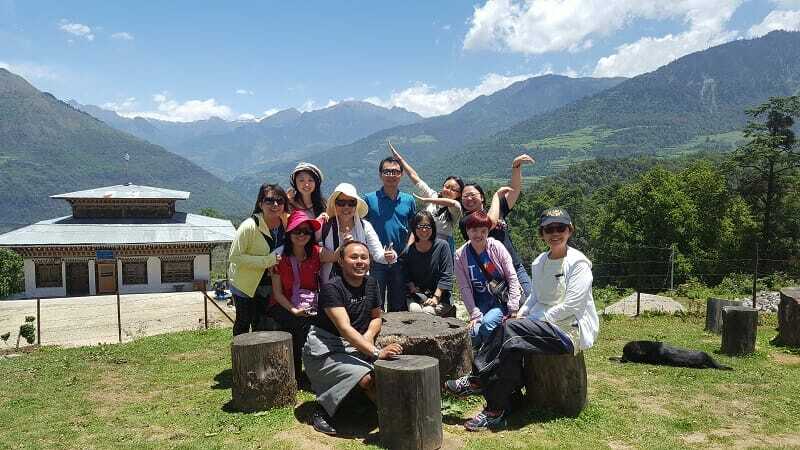 Clients who are keen to go on a Bhutan trip can choose from our best-selling Bhutan sightseeing tours or Bhutan trekking package. Otherwise, we can provide consultation to plan a customized Bhutan itinerary based on the client's preference and budget. Besides the usual sightseeing tours to popular Bhutan attractions and destinations, many clients also go for some Bhutan trekking and hiking! They include Tiger’s Nest Temple Trail, Bumdra Trek, Gangtey Nature Trail, Tango Goemba Hike, Druk Path Trek, Snowman Trek and more! Some have even gone for Punakha White Water Rafting. Although almost every Bhutan tour itinerary includes the iconic Tiger’s Nest Temple (Paro Taktsang) Trek, there are many other spectacular Bhutan attractions. They include the giant Buddha Dordenma statue, Chimi Lhakhang Monastery, Dochula Pass, Kyichu Temple, Paro Rinpung Dzong and more. Besides the capital city Thimphu, and Paro where the only international airport is, the kingdom of Bhutan has other exotic and beautiful districts. Punakha has the renowned Dochula Pass and Chimi Lhakhang. Phobjikha has the wonderful Gangtey Nature Trail. Bumthang has Kurjey & Tamzhing Monasteries. Be sure to visit our Information section to get official guides and tips on Bhutan tourist visa cost and requirement, how to fly to Bhutan, how to go to Bhutan by land, and more. As a locally-owned and licensed Bhutan travel operator based in Thimphu, we are one of the top local travel agency in Bhutan. Our mission is to promote the best of Bhutan attractions, Bhutan destinations and Bhutan cultures to the rest of the world. With decades of experience in Bhutan tourism, our professionally-trained team strives to provide safe, cost-effective and memorable Bhutan tours. Over the years, we have specialized in serving clients from USA, Canada, Australia, Thailand, Malaysia and Singapore. We have the expertise in handling various client sizes: from single travellers, to small groups and large companies. Feel free to contact us for any enquiry about Bhutan tours, Bhutan treks, or any Bhutan attraction and destination. We don’t charge you for asking so ASK AS YOU PLEASE!